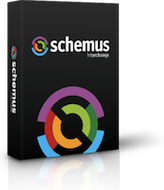 Schemus InterChange brings together distributed data from directories, databases and files, transforming and melding it into information usable by a wide range of systems and processes. 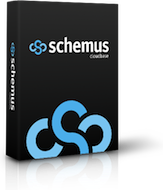 Schemus CloudBase is a data management application that extracts user-related data from an organisation's local directories and databases, transforming the data and synchronising it with an external Cloud service. Business processes and security services rely on accurate and up to date information on users and applications, however the authoritative sources of that information may be scattered between disparate systems or span security boundaries. Schemus' products bring together that distributed data from directories, databases and files, transforming and melding it into information usable by a wide range of systems, services and processes. Schemus CloudBase addresses the specific need for controlled sharing of identity and user account information with Cloud-based services. This technology is in widespread use by thousands of customers of leading providers of cloud security services. Copyright © 2005-2018 Schemus Limited. All rights reserved. Legal. Cookies. All trademarks acknowledged as the property of their respective owners.